So yes, I'm a little bit nibby when it comes to seeing how other people live. But one place that invites this sort of nosy-ness, and actually kind of encourages it? The Biltmore Estate in Asheville, North Carolina. The Biltmore Estate was built between 1889 and 1895 by George Washington Vanderbilt II, of the prominent Vanderbilt family (who owned various shipping and railroad companies). The house was opened up to visitors by George's daughter Cornelia in 1930 as a way to help the estate (and the city of Asheville) weather the Great Depression. The Biltmore is still owned and run by George Vanderbilt's descendants, and is fascinating to visit. 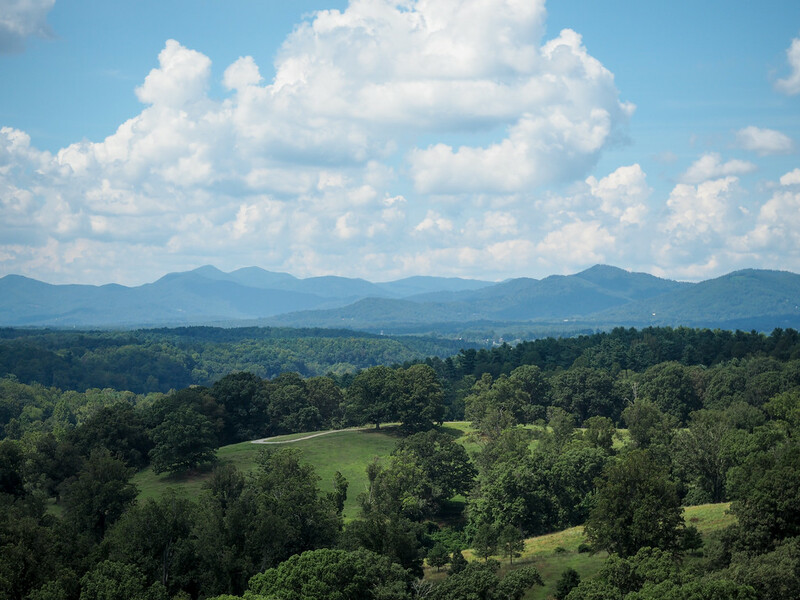 George Vanderbilt chose Asheville as the location of his “country house” because he was frequently accompanying his mother to the area for lung treatments and fell in love with the mountains. The final design of the Biltmore house (designed by architect Richard Morris Hunt) was inspired by various grand chateaus in France. 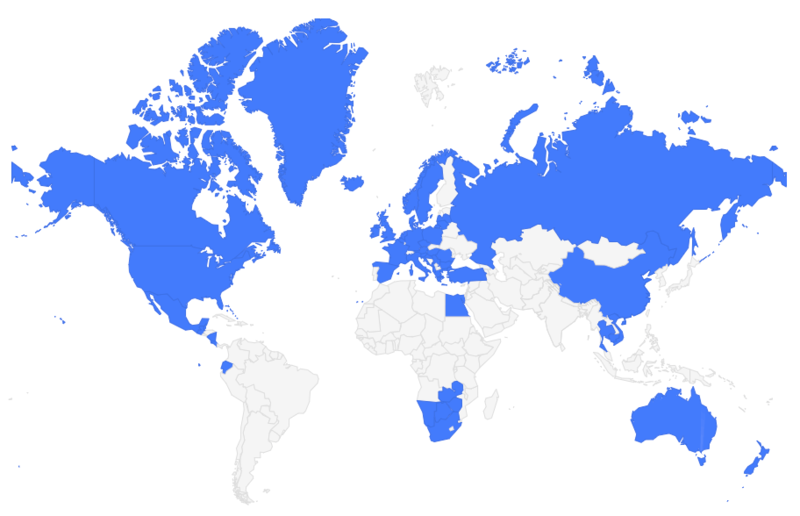 George Vanderbilt visited Europe a lot; he crossed the Atlantic Ocean at least 60 times during his life. The house itself covers 178,926 square feet, making it the largest privately-owned house in the United States. 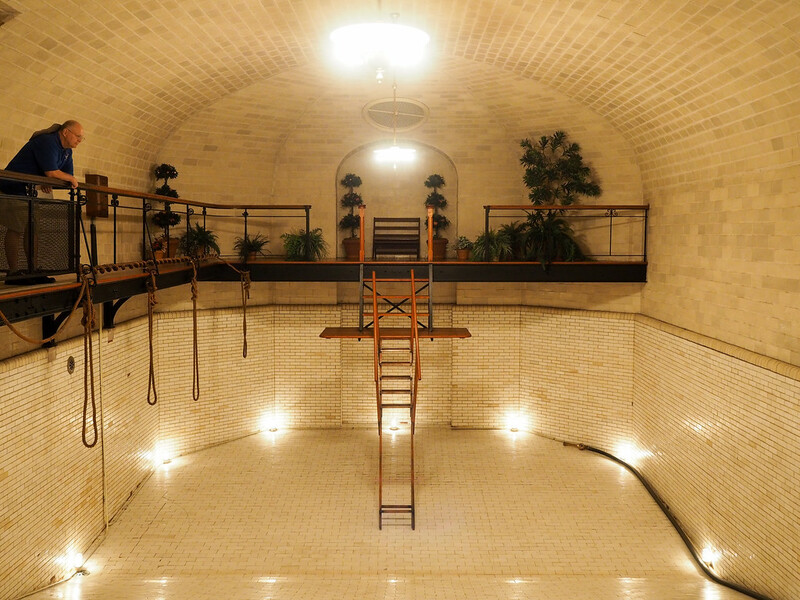 Among other things, the Biltmore has 250 rooms, including 43 bathrooms, multiple kitchens, an indoor swimming pool, and a bowling alley, and had things like electric elevators since the day it was built. The mansion did not, however, have any air conditioning until summer 2018! The Biltmore's grounds are just as impressive as the house itself. The grounds were designed by Frederick Law Olmsted and currently cover more than 10 square miles. George Vanderbilt was an environmental activist before the term even existed; when he purchased the land for the Biltmore, he hired Gifford Pinchot and Carl A. Schenck to manage the surrounding forest, and Schneck eventually started the first forestry education program in the U.S. Vanderbilt wanted the surrounding forest to remain untouched, and some of his land was sold to the federal government after his death, becoming part of the Pisgah National Forest. Along with the house, George Vanderbilt also is responsible for Biltmore Village, a European-style village he created for his employees to live in. 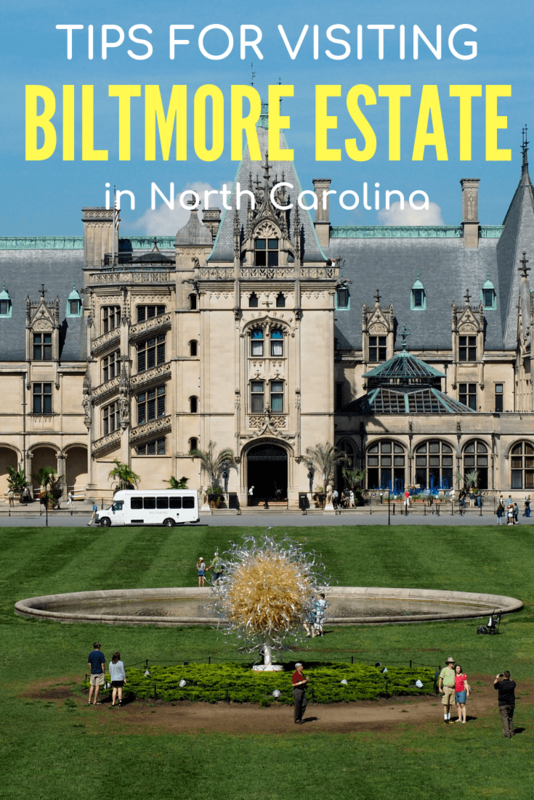 The Biltmore Estate is one of the top attractions in North Carolina, and certainly the top thing to see in Asheville. Yes, the house can get crowded, and yes, the whole place is touristy. But it's absolutely worth visiting! 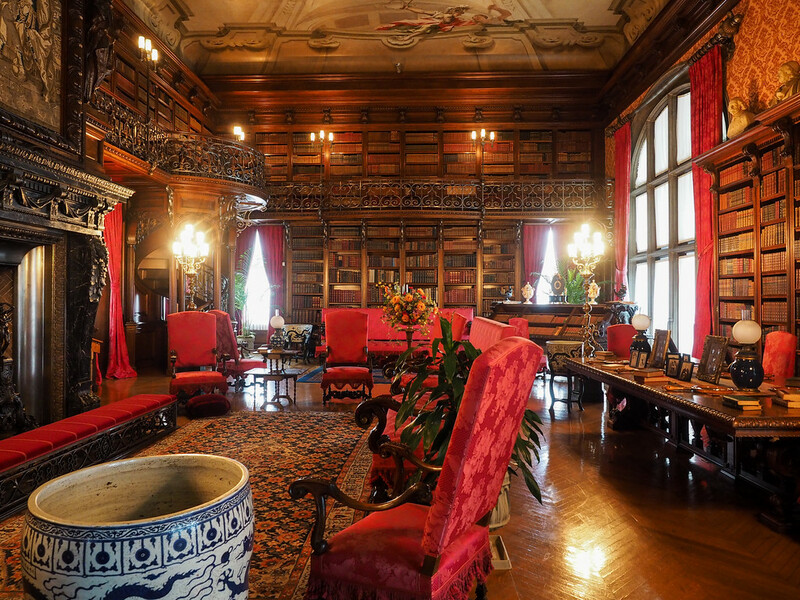 The house is still owned by George Vanderbilt's family, and still has a lot of its original features, from artwork to furniture. Which makes it an excellent house to snoop around if you ask me. You can buy your Biltmore tickets when you arrive at the house, but I highly recommend buying them online in advance instead. This will ensure you get a ticket for the day you want (because yes, they DO sometimes sell out, especially on popular weekend days), and saves you an extra stop of your way in since the ticket sales require you to pull over on your way into the Estate. Print your tickets yourself, too, otherwise you'll still need to make that stop at ticketing on your way in. Book your Biltmore ticket here. The Biltmore sees more than 1.4 million visitors per year, which means you're never likely to have the place to yourself. But if you want to have the best chance of beating the crowds, go as early as you can. The house usually opens at 9 a.m., and going early will give you a jump on the midday crowds – AND get you the best parking closest to the house. The closest parking lots are only a 5-minute walk to the Biltmore house, while the lots further out might require you to wait around for a shuttle. In the summer, you'll also want to go earlier in order to avoid the worst of the heat. Speaking of avoiding the heat… if you're visiting on a warmer day, I recommend visiting the gardens first thing in the morning. Because yes, the gardens are definitely worth exploring! Designed by landscape architect Frederick Law Olmsted, the Biltmore has more than 30 acres of formal and informal gardens. The ones most worth exploring are relatively close to the house, though. 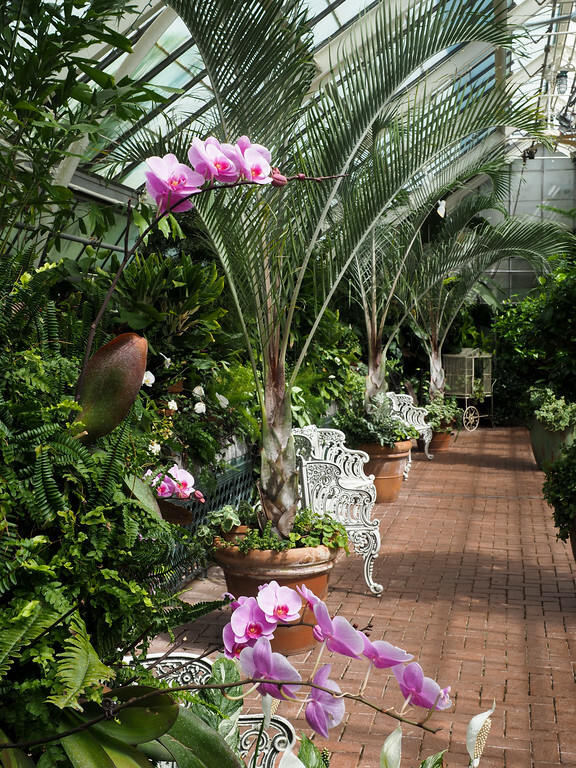 I recommend the Italian Garden, the Walled Garden (with a walk through the Shrub Garden on the way), and the Conservatory – make sure to check out all the orchids! If you're visiting in spring, you can also enjoy tulips in the Walled Garden, blooms in the Azalea Garden, and wisteria blooming along several pergolas near the house and in the Walled Garden. If these gardens inspire you in your search for your own piece of land, be sure to look at the house land package by Simonds.com.au, they have taken great care in recreating the emotions felt here. Tickets for the Biltmore House aren't cheap, so I understand wanting to save some money by skipping extras. But one extra you don't want to skip is the audio guide. It's only $12 per person, and really does enhance your visit. 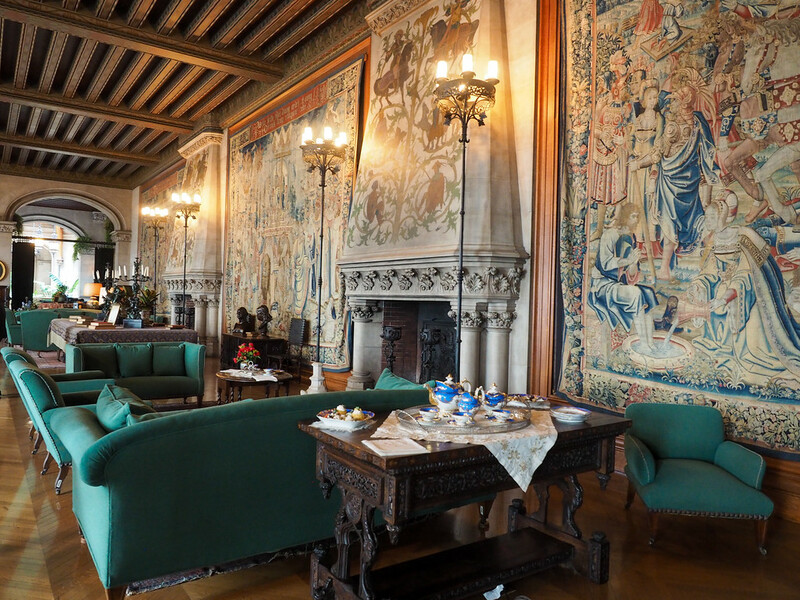 Regular tours through the Biltmore are self-guided, so the audio guide acts as a tour guide, telling you facts about each room you visit. 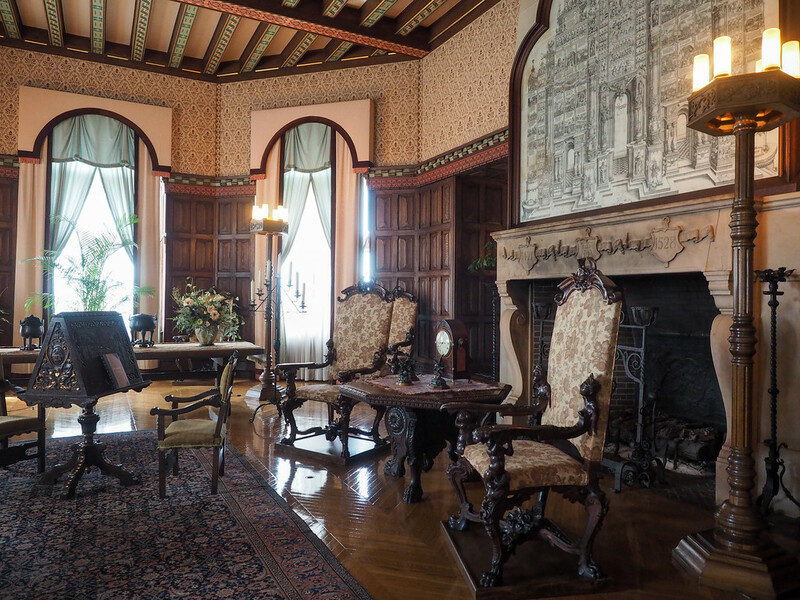 You'll learn more about George Vanderbilt and his family, the building of the house, all the artwork, and what day-to-day life was like for everyone from the Vanderbilts to their guests to the house staff. It's super interesting and you'll learn a lot. For example, as you stop in the music room, the audio guide will tell you about how the Biltmore (and the music room in particular) was used during World War II to secretly store paintings and sculptures from the National Gallery in Washington, D.C. When using the audio guide, allow at least 2 hours to tour the entire house. You can book an audio guide online when you buy your ticket. But I also recommend stopping at the guest services booth next to the house when you arrive to find out what specialty tours are being offered that day. These tours are another extra, but they are excellent and allow you to access parts of the house that you can't visit on a normal tour. 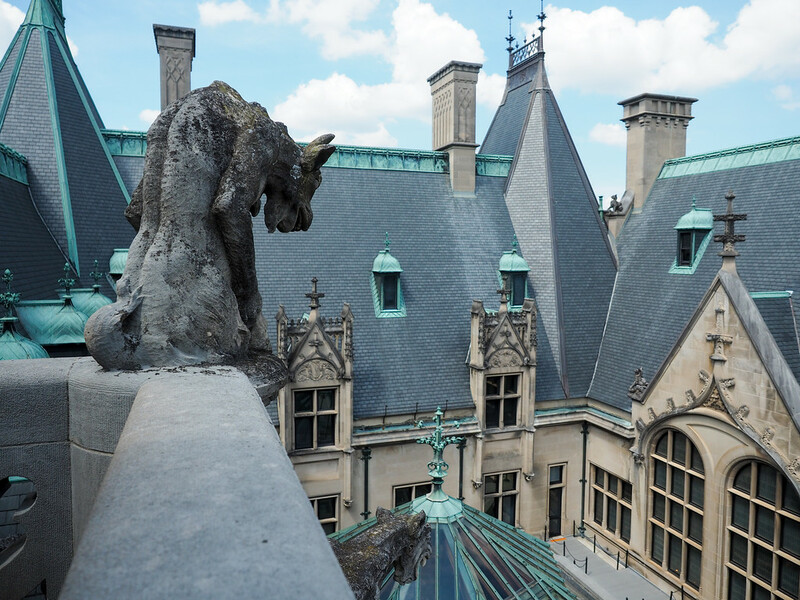 For example, I went on the Rooftop Tour, which takes you up to the 4th floor of the Biltmore, where you'll see the original blueprints for the house and George Vanderbilt's “man cave” before heading out onto the roof. This tour gives you a completely different vantage point, and gives you a greater appreciation of the Biltmore's architecture. Another popular extra tour is the Upstairs-Downstairs Tour, which explores what the lives of the Biltmore's servants would have been like. I didn't get to do this one, but I'm told you'll love it if you were a “Downton Abbey” fan! 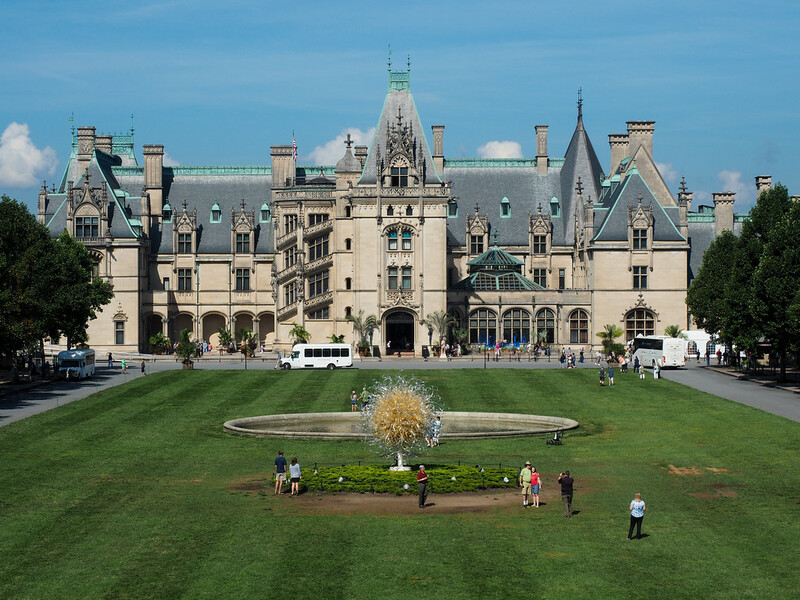 Check out the rest of the Biltmore's guided tours here. Yes, the Biltmore has several dining options, too! Most are located in either Antler Hill Village or at The Inn on Biltmore Estate, but there's one restaurant right at the Biltmore House. The Stable Cafe is adjacent to the house, and is located in (can you guess?) what used to be the old stables. The Stable Cafe serves up some really good options (including some fantastic salads!) at pretty reasonable prices. Plus, this horse-lover just thinks it's cool to eat in an old converted stable. You'll want to make reservations in advance to make sure you can get a table. You could easily spend the whole day at the Biltmore House and Gardens, but you'll want to make sure you leave some time in the afternoon to explore Antler Hill Village, too. 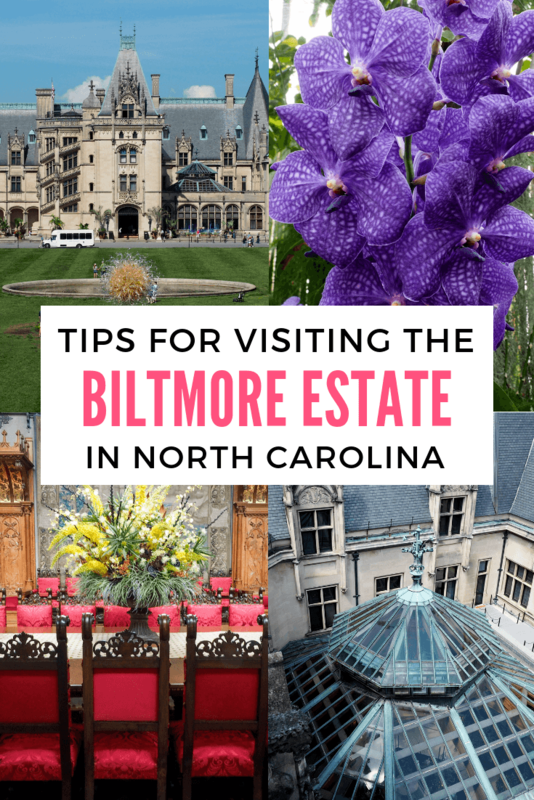 It's located about 5 miles from the Biltmore House, and has shops, craft demonstrations, an exhibition on the Vanderbilts, and an outdoor adventure center where you can book things like horseback rides. 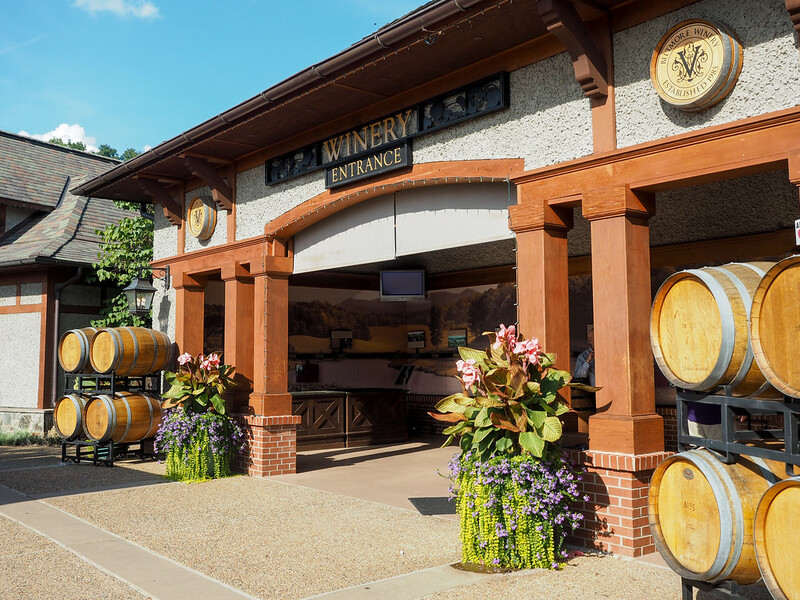 Antler Hill Village is also where you'll find the Biltmore Winery. 8. Don't forget about your free wine tasting! As long as you're over 21, you Biltmore ticket will include a free wine tasting at the Biltmore Winery. The winery was begun back in the 1970s by George Vanderbilt's grandson, William Cecil. The Biltmore Winery officially bottled its first wines in 1984, and opened to the public in 1985. Today, the Biltmore Winery is one of the most-visited wineries in the United States. 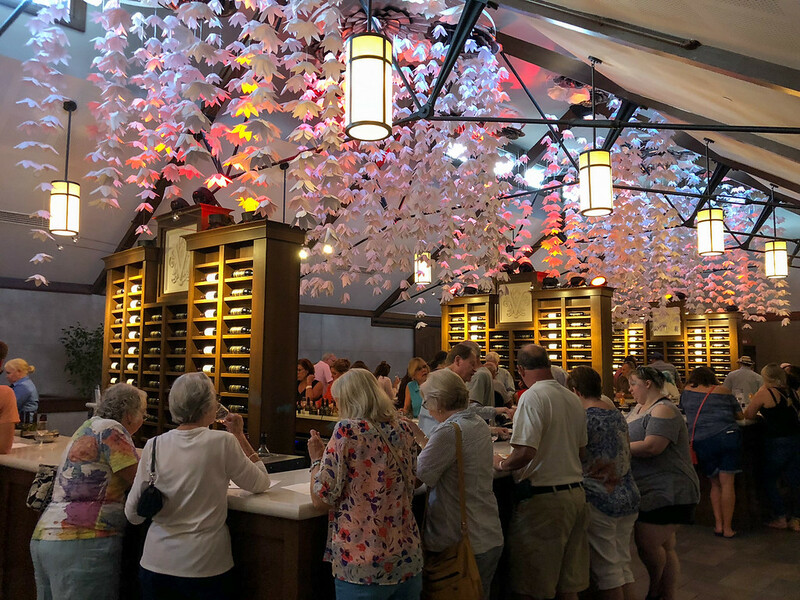 Head over to the tasting room for your free tasting, and then stick around to shop, sip another glass at the wine bar, or try another specialty wine experience, like a behind-the-scenes tour or a red wine and chocolate pairing. 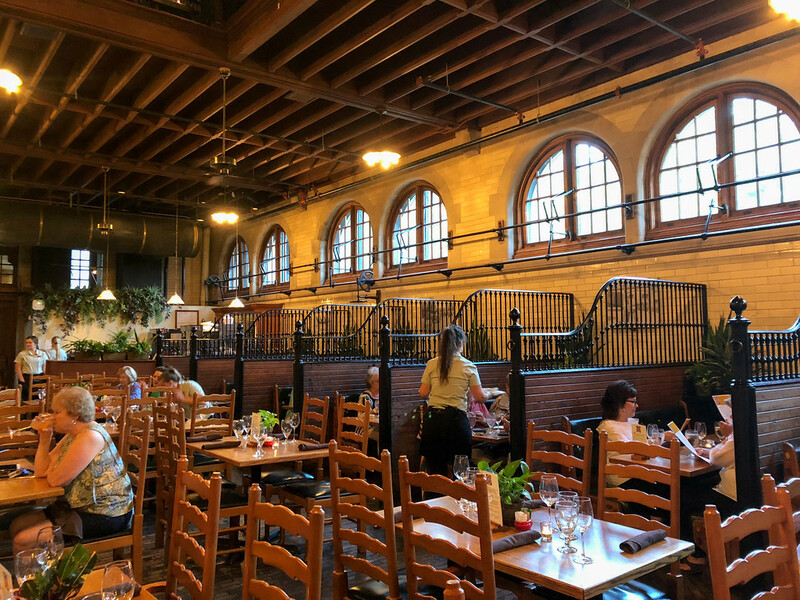 While you could make a dinner reservation at another of the Biltmore Estate's eateries, I actually recommend heading off-property for dinner. 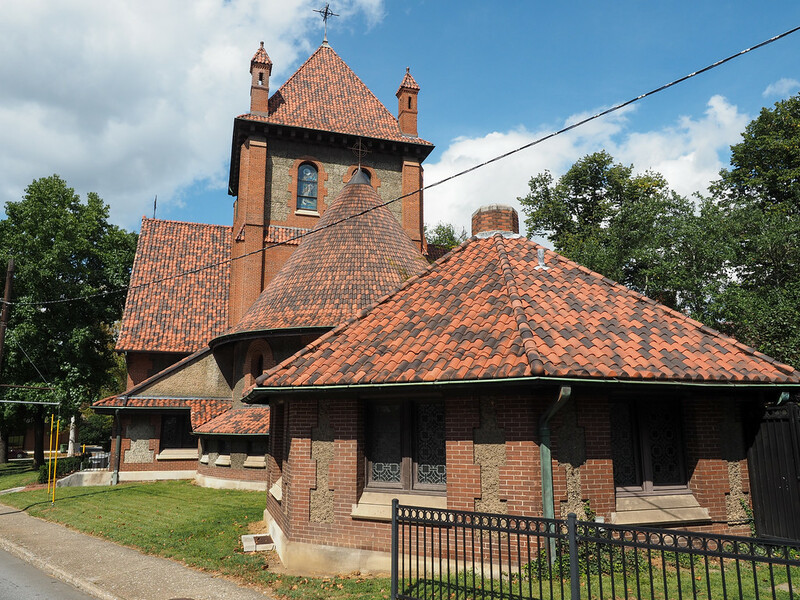 You don't have to go very far, though – just head over to the Biltmore Village, the community George Vanderbilt planned and built for all his staff located right across from the entrance to the Biltmore Estate. If you can snag a reservation, head to the Corner Kitchen for dinner. This farm-to-table restaurant is located in one of the village's original houses, and has hosted diners like President Barack Obama in the past. Also take some time to stroll through the village, which is incredibly cute. 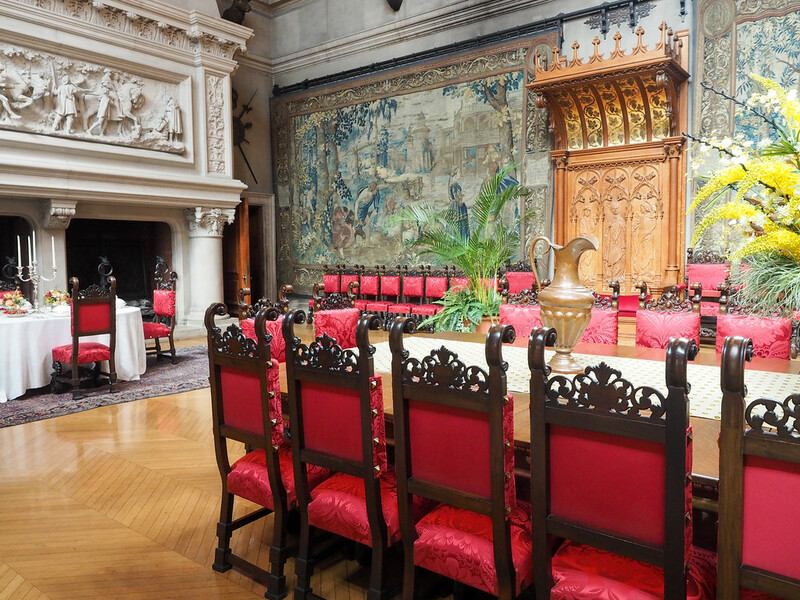 Book your Biltmore ticket, audio guide, and lunch together! The Inn on Biltmore Estate – The fanciest hotel located on the Biltmore Estate. This is definitely a luxury option and comes with a price tag that reflects that you're staying on the Biltmore Estate. But it would be worth it for a special splurge. The Windsor Boutique Hotel – A boutique option in downtown Asheville that's the #1 rated hotel in the city on TripAdvisor. The Omni Grove Park Inn – A luxury resort located up on a mountain just outside of downtown Asheville. Tons of famous people have stayed here, including 10 US presidents, Henry Ford, Helen Keller, and F. Scott Fitzgerald (who stayed for 2 years). Cambria Hotel Downtown Asheville – An affordable option right in the heart of downtown Asheville. Holiday Inn Express Asheville – An affordable hotel outside of the downtown area. This hotel is across the street from an outlet mall, and just up the road from the entrance to the Blue Ridge Parkway. Looking for packing suggestions for North Carolina? Head over to my Amazon shop to see all my favorite travel gear! Pick up a North Carolina travel guide before you go. Have you ever been to the Biltmore? If not, is it a house you'd like to tour? Ah yes Amanda. The excess or abundance of the Vanderbilts. What a fascinating place. My cousin worked on one of their homes, on Long Island. Freaking marine landing spot for a water plane, in the 1800’s. Inspired stuff. Old Commodore began one of his ferry companies running on the Raritan River; 20 minute walk from where I am now in New Jersey. Pretty fascinating family! I was amazed by some of the innovations (for the time) in the Biltmore. It certainly was (and still is!) a feat of architecture and engineering! I got to see Biltmore House last summer when I went for my cousin’s graduation. I didn’t get to do any of the other tours, but I will definitely agree with doing the garden in the morning. We did it last and it was so hot!!! We also got to have lunch in the stable and it was so good. We were there when they had the costume exhibit, which was really cool!! They’re always having cool exhibits on – and I would love to visit again at Christmas sometime for all the lights and trees! It’s nice that you can actually also book speciality tours, it makes you really consider what you would like to see. The rooftop tour certainly sounds nice. I also always like a peek in someone’s library! The rooftop tour was very cool, and I would have loved to do some of the other special tours, too! There are so many fun things to learn about this place. My parents and I visited Biltmore Estate and Asheville a few times in the 1990s. Seeing those photos brought back great memories! While I was in college, we went to the Breakers, one of the Vanderbilt homes in Newport, RI. Books have been written about the Vanderbilt family too. What a family, hey? This was my first visit to the Biltmore, but I really enjoyed it! I was just there 2 weeks ago! Wonderful place. Love the conservatory! I could have spent a whole day there! The gardens weren’t at there prime and it was too hot any way by the time we got out of the house. The walk in the winery was worth the tasting. And yes, I bought some. 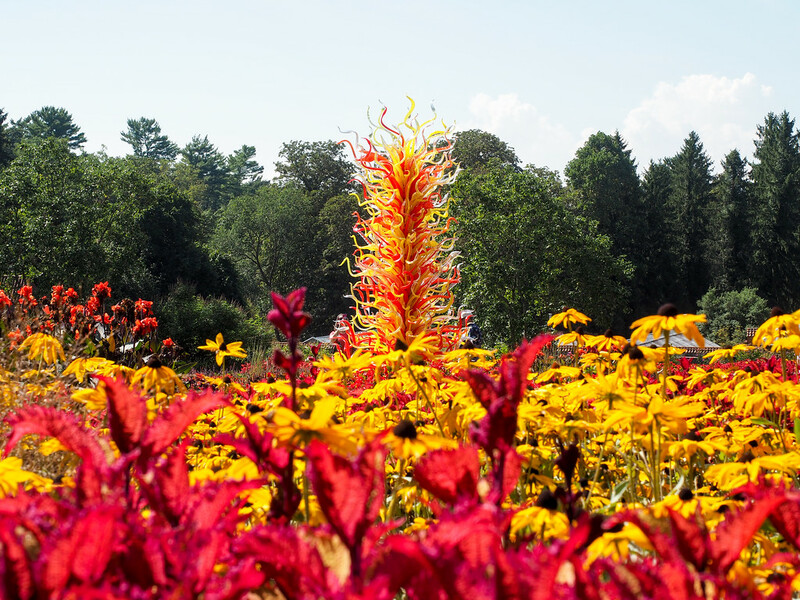 Yes, mid-summer perhaps isn’t the best time to visit the gardens. But I still really enjoyed the whole Biltmore experience! We visited Biltmore Estate 32 years ago as part of our honeymoon. It was in December and the Christmas decorations were made from what was available in the year the house was built. There was a tree in every room. Even though there wasn’t anything blooming in the outside gardens it was still interesting to walk around. I’ll bet it’s so beautiful around the holidays! How timely this is! 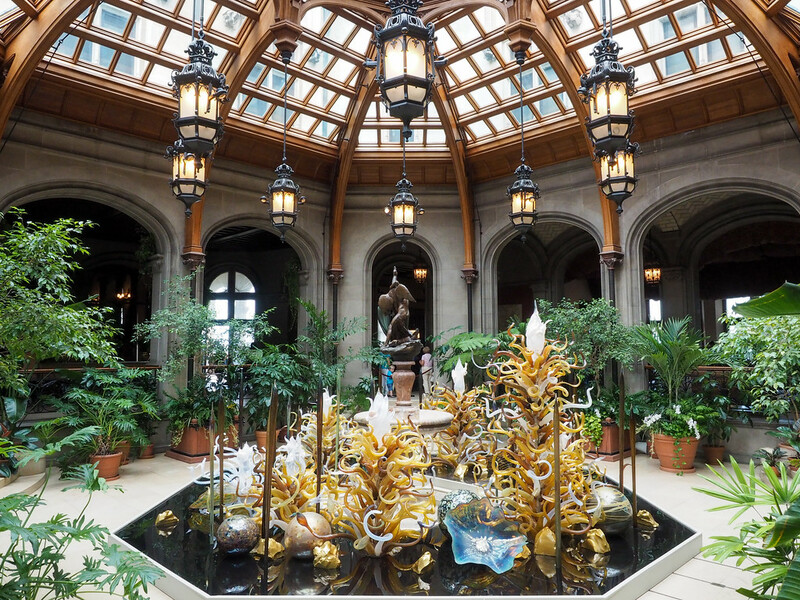 My husband and I are actually visiting Biltmore tonight for the Chihuly Night Exhibit! I cannot wait to see the beautiful sculptures, all lit up in the gardens! We used to be annual passholders at Biltmore but let them lapse when we moved and it was no longer convenient for us to go. Thank you for sharing your pictures to make me remember just how special this place really is! I hope you have a great time, Lisa!